According to the American Thyroid Association (ATA) an estimated 20 million Americans have some form of thyroid disease, and most of them (60%) don’t know they have it. Thyroid disease strikes primarily women, one woman in eight can expect to develop Thyroid Disease in their lifetime. The causes of Thyroid Disease are largely unknown, but thanks to a new study from the University of Kent in the UK, that may be about to change: Excessive levels of Fluoride in drinking water have been linked to Hypothyroidism. There are many factors that can combine to cause hypothyroidism, fluoride is just one of the factors. Iodine deficiency is also a factor. However, people with the autoimmune hypothyroid disease may be sensitive to iodine, and suffer side effects. The vast majority of people get enough iodine in their diet, thanks to table salt, most of which is fortified with iodine. So you should speak to your doctor before deciding to avoid or take iodine. If you think you may have hypothyroidism: Speak to your doctor. There are specific medical tests that must be performed to know for sure. 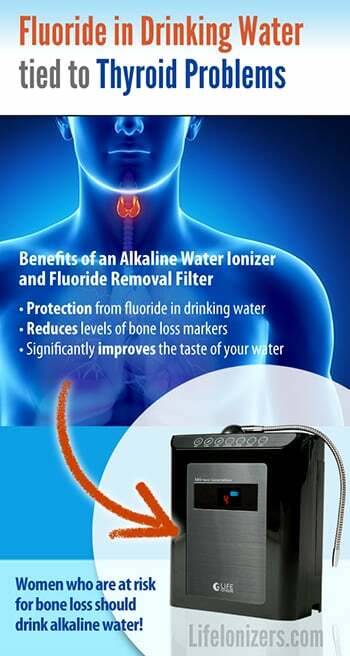 How much fluoride in water does it take to impair thyroid function? In the study, fluoride levels in excess of 0.03 mg/L were associated with doubling the risk for hypothyroidism. A level far lower than the maximum level of fluoride allowed in water by the EPA, which is 4 mg/L. Researchers in the study concluded that iodine deficiency may contribute to the problem as well. But while iodine deficiency is definitely a contributing factor, the fact is; iodine deficiency can be induced by overexposure to fluoride! It may very well be that the fluoride you get from your drinking water impairs your body’s ability to absorb iodine, which could lead to an iodine deficiency. 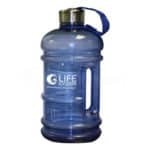 Life Super Filter – In independent lab testing, Life’s Super Filter eliminated fluoride from water. The test water contained the EPA maximum allowed level of fluoride in water, which is 4 mg/L. 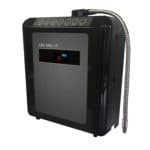 Reverse osmosis – Removes over 99% of everything from water, leaving pure water. RO water must be remineralized to make it healthy to drink. 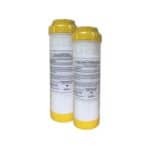 If your water is severely contaminated, RO is the treatment method of choice. 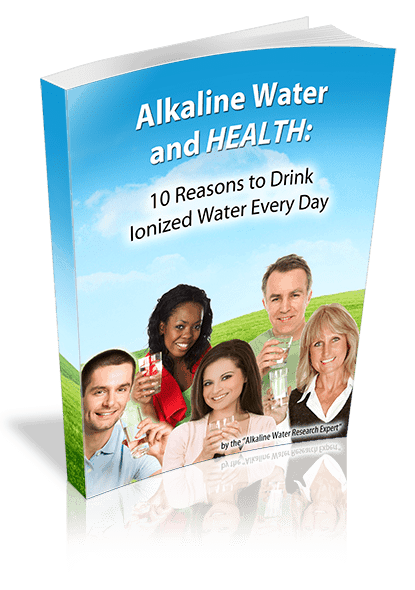 Women who are at risk for bone loss should drink alkaline water!